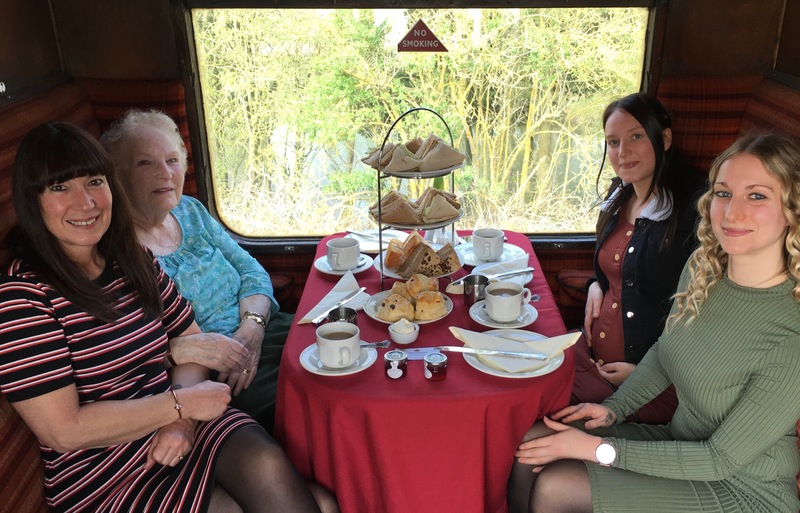 Add a touch of traditional British luxury to your visit by taking traditional afternoon tea onboard ‘The Fenman’ steam hauled train from Wansford. 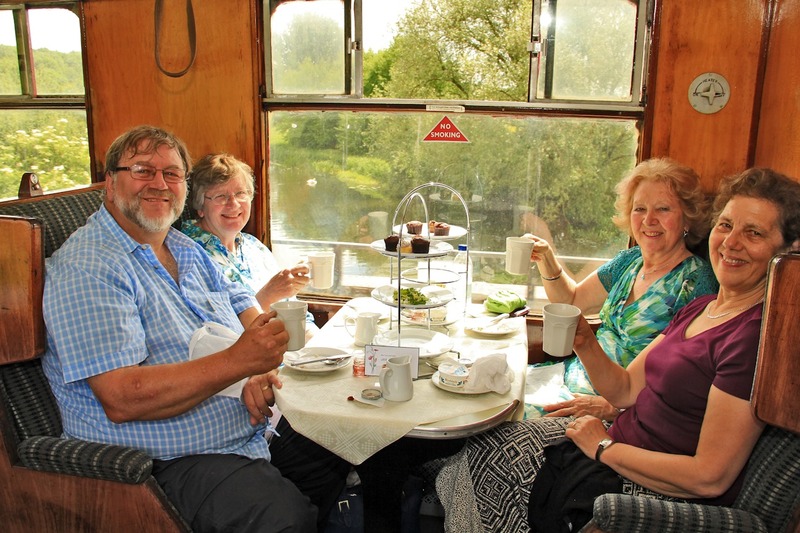 A variety of sandwiches, cakes and hot scones with jam and cream are served at your seat during a journey along the picturesque Nene Valley. 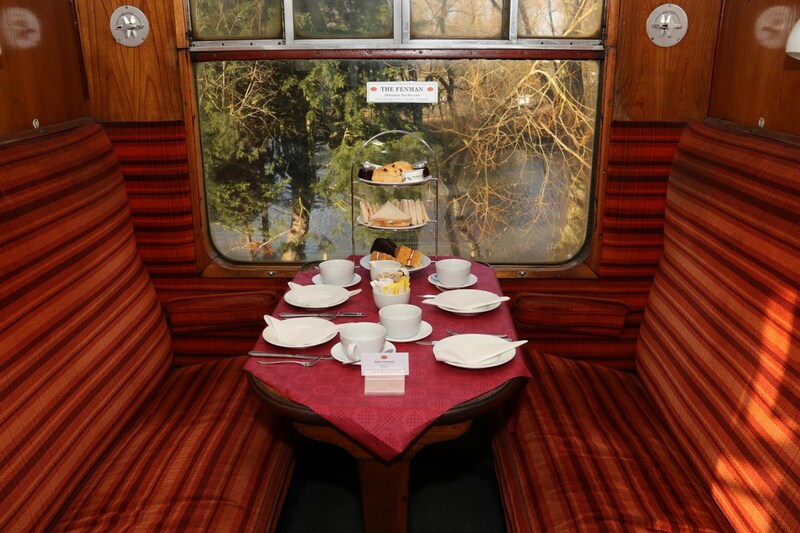 Tea and coffee will also be brought to your table, but should any of your party require additional fortification, each train conveys a buffet car offering a selection of alcoholic and soft drinks for sale. Tables in our restored 1950’s coaches must be booked in advance due to popular demand. Ticket prices include rail travel throughout the day, so additional trips may be made before or after travel aboard The Fenman. For any dietary needs please contact the office no later than the preceding Sunday of your date of travel to discuss. £30 per person, tables seat up to four people and tickets are inclusive of all-day train travel. For a really special treat, why not book a private compartment for up to four people to enjoy afternoon tea in luxurious surroundings? Our 1950’s wooden panelled compartments will evoke feelings of nostalgia from the period when ‘getting there was half the fun’. £40 per person inclusive of all-day train travel. If you’re holding a birthday or celebratory event that you’d like to mark in style, then we would be delighted to help make it even more special. Tables or compartments can be dressed in advance with bunting or decorations, and for an additional charge we can supply bottled drinks, fresh flowers, Prosecco and more. Our onboard team will be delighted to help make any event an occasion! Please contact us on 01780 784444 or email to discuss your requirements. Whilst every effort will made to ensure that the advised motive power is available, the Nene Valley Railway reserve the right to change this when operational circumstances require. This may see Heritage Diesel Locomotives in service. 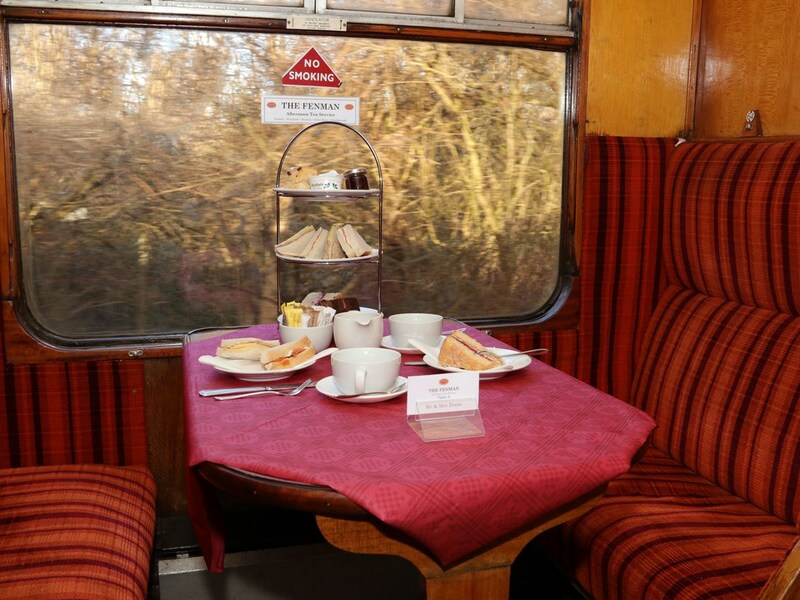 For persons holding Activity Superstore vouchers for a steam train ride with afternoon tea, please note that these are sold by a third-party company for use on a number of participating railways and are not administered by the NVR. For more information and booking, please call 0371 3841025. For Example - A Table For Two = £60 - against how many you want - you select how many tables you require. Why not make the afternoon special and add a bottle of Prosecco?